Meeting with a stranger to discuss personal and emotional issues is a big step to take. The initial consultation is an opportunity for you to share in confidence what is troubling you, for you to ask questions and for us to discuss how we might work together. You may want to make an appointment for ongoing therapy at this time, or you may want to go away and consider whether what I am offering is right for you. I find that integrating different theories gives more flexibility in the way we work together, perhaps identifying issues from the past which cause you distress, but also understanding how to move forward in your life in the knowledge that these events have taken place. I am always open to new approaches and ideas and regularly update my practice. It is daunting to contact a counsellor for the first time - I will communicate in which ever way is best for you, via text, email or telephone. 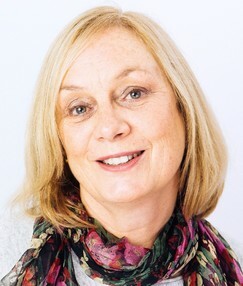 I work with individuals experiencing stress, anxiety, depression, anger, bereavement, loss, difficulties in relationships and social situations and bullying, or have concerns relating to their work, children, fertility, trauma, personal development and health, including coming to terms with chronic or terminal illness as the patient and as a friend or relative. I can also offer support to men and women who are childfree,childless by circumstance or childless not by choice as they explore their experience and the place they find themselves in the world. These experiences can bring up many feelings including anger, grief, depression, sadness, shame, jealousy and isolation. Feelings such as these may also arise if you find yourself ageing without children or grandchildren. I can support you as you explore these emotions, accept your situation and find a purpose for your life.